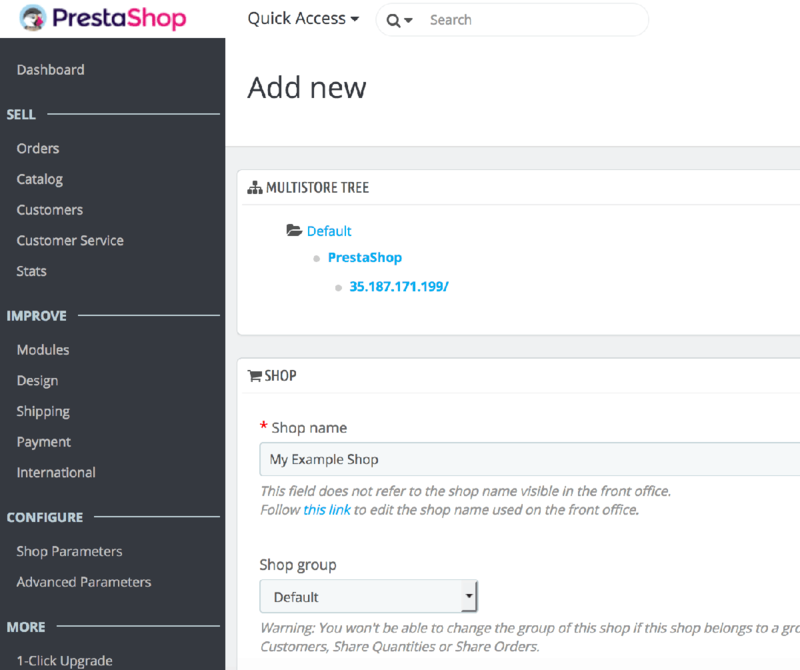 Log in to the PrestaShop administration dashboard. 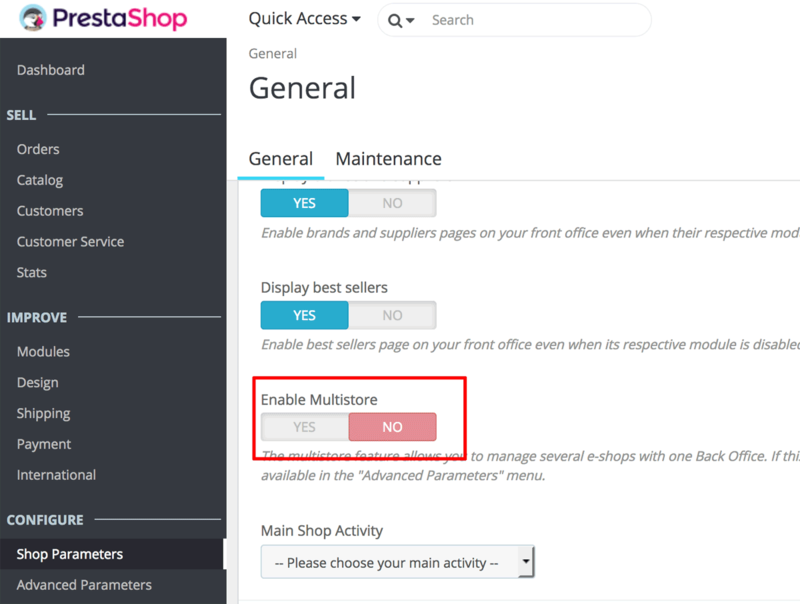 Navigate to the “Shop Parameters -> General” menu, enable the Multistore support and save your changes. Enter the shop name, choose the associated categories and the data you want to import from another shop (if needed). You will not be able to revert these settings. Click “Save” once done. Change the URL by clicking the “Click here to set a URL for this shop” link. Enter the “Domain” and “SSL Domain” for the new shop. 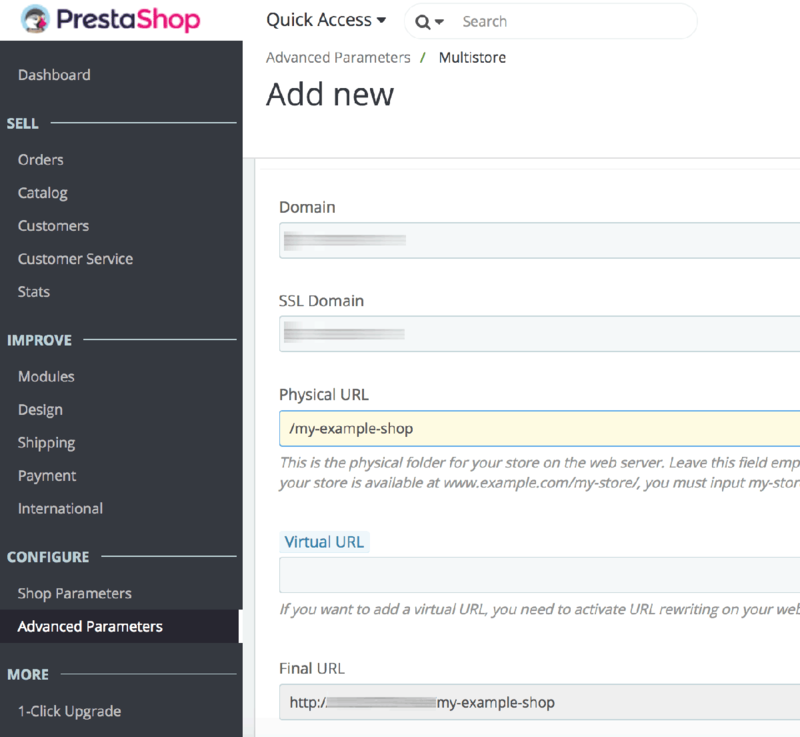 Also, choose the “Physical URL” (by default /prestashop/ but change it to / if you moved PrestaShop to the root URL). Save the changes. Edit the /opt/bitnami/apps/prestashop/conf/htaccess.conf file and add the following lines (replacing the example domain example.com with your shop domain) inside the IfModule mod_rewrite.c section. You should now be able to access your new shop.